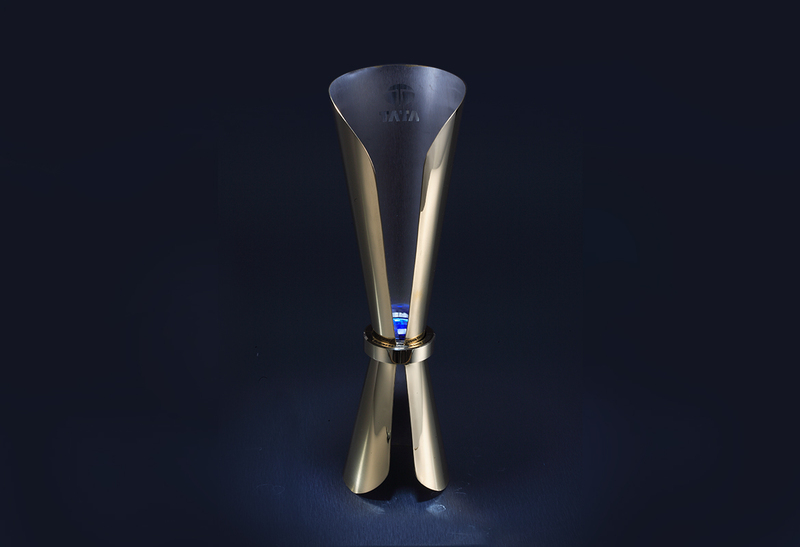 The TATA business excellence trophy embodies the core of Tata philosophy in blue stone (representing the group’s corporate quintessence), which resonates with its entire body of companies. The form inspires excellence and celebration. This spectacular trophy is sculpted in stainless steel with a bi-color and dual finish treatment.